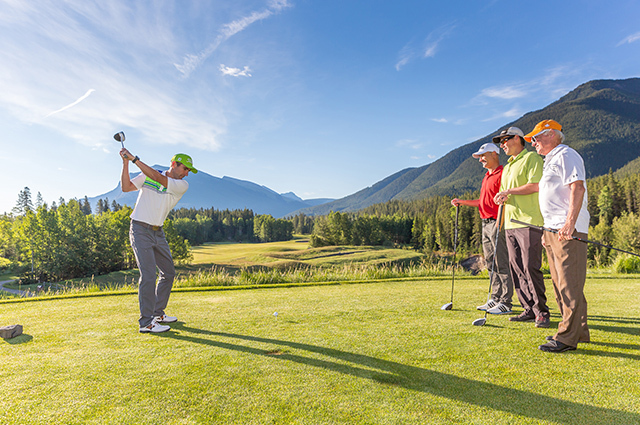 Golf Canada’s West is pleased to introduce this fairway pounding itinerary for those who can’t get enough golf in the Canadian Rockies. A boy’s trip to beat all boy’s trips. 36 holes a day in competition format. Bring your A-game gentlemen; and see who takes home the cash! Fairmont Banff Springs, Stewart Creek, Silvertip Resort (Canmore Golf and Curling Club Kananaskis – Mt Kidd and Mt Lorette can also be added/substituted into itinerary).